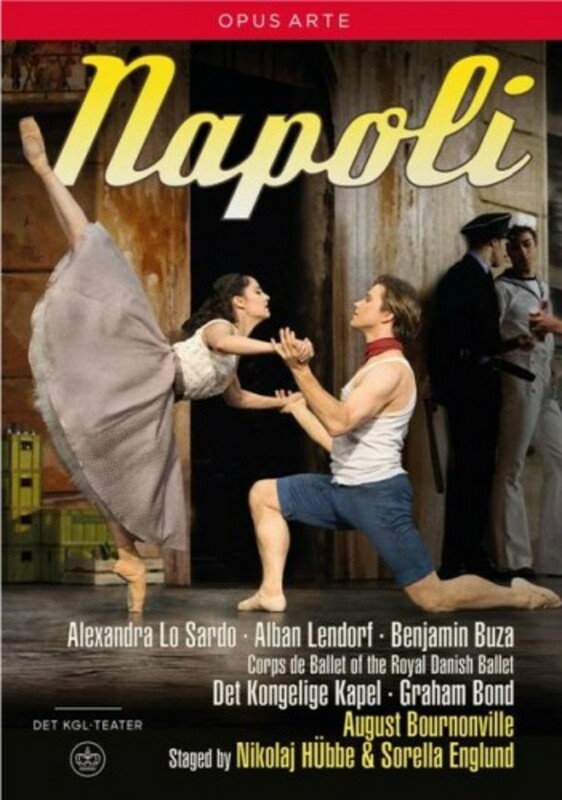 One of the cornerstones of the Royal Danish Ballet, 'Napoli' – created in 1842 by the Company’s most celebrated choreographer and ballet master, August Bournonville – is a timeless tale of love set in the beautiful, rustic surroundings of Naples and which centres on young fisherman Gennaro’s quest to rescue his beloved Teresina, supposedly drowned at sea. For their latest production of this seminal Danish work, the Company chose to propel the action forward to the 1950s, taking inspiration from the early films of Federico Fellini in their masterly portrayal of raw, urban life. Elaborate sets and costumes by Maja Ravn and an entirely new musical score for Act II assist in the updating, while Nikolaj Hübbe and Sorella Englund’s striking new choreography melds with Bournonville’s classic routines, inviting ‘superb’ character dancing (New York Times) and providing a showcase for the Company’s young dancers in virtuosic solo roles – the sensational Alban Lendorf among them. Recorded live at the Royal Danish Ballet, Copenhagen, February 2014.